We would like to feature one of the many fine shops right here on our blog, starting with Full Throttle Bottles. Matt the store owner set out to bring a little light into his customer’s lives. 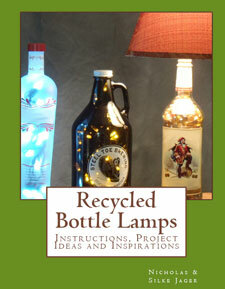 *Recycled liquor bottles and wine bottles turned into fun, tasteful and decorative pieces for any setting. 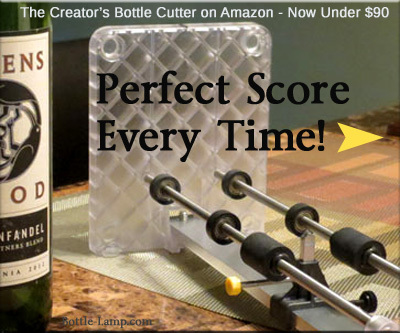 Liquor bottles, beer bottles or wine bottles re-purposed and upcycled. 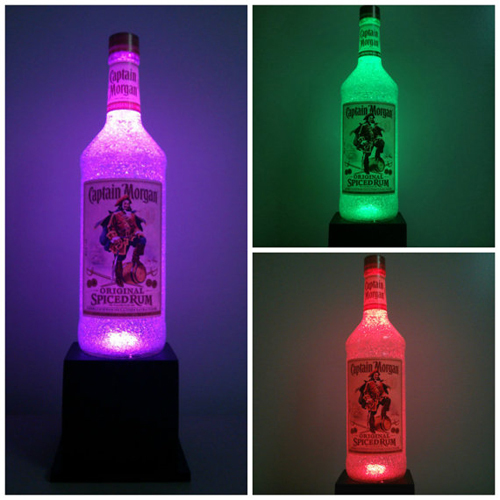 Great for a gift, home decor, bar, dorm room, man cave or special occasion. All bottles are inspected, cleaned and washed inside and out to make sure they are in top quality shape for crafting. 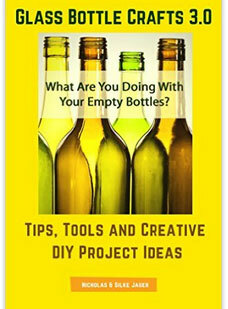 Bottles that are drilled or cut are sanded and smoothed to remove any sharp edges. Bottles that crack/chip/fracture in the process will be discarded. Feel free to convo me with any questions about anything or to arrange a custom order! 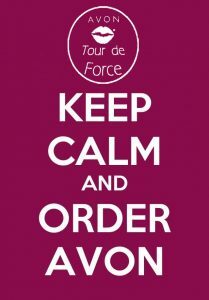 Anyone who purchases an item will receive a coupon for 10% off another purchase to use as you please to say thank you! *Courtesy of Full Throttle Bottles – Visit his Full Throttle Bottles Etsy Store to see more. 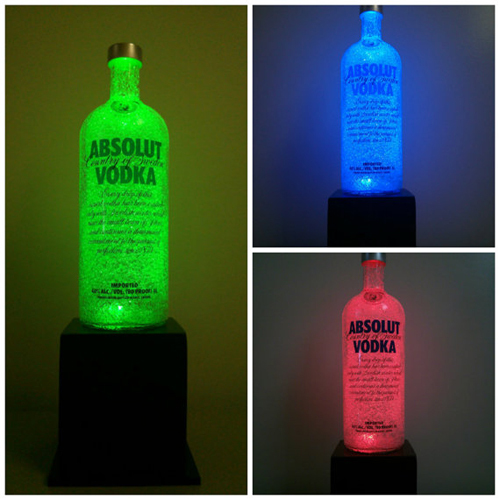 The many colorful bottle lamps that are available are made truly unique starting with the solid wood base. 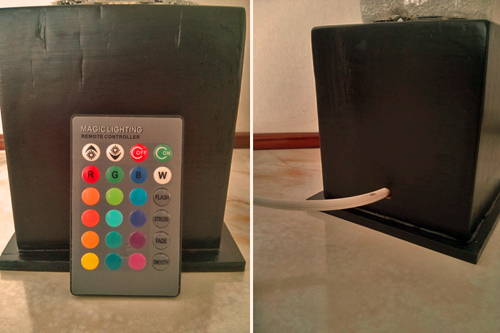 A handy remote control will help set your own personal color mood. You can contact Matt through his Etsy store and have him custom make something. 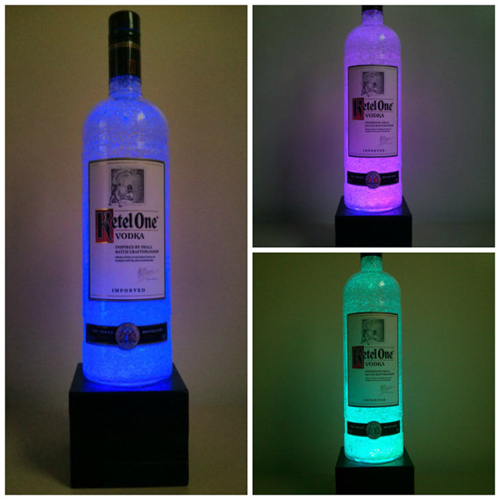 Imagine your favorite liquor bottle and having the ability to set a color light to match your own personal taste or mood. 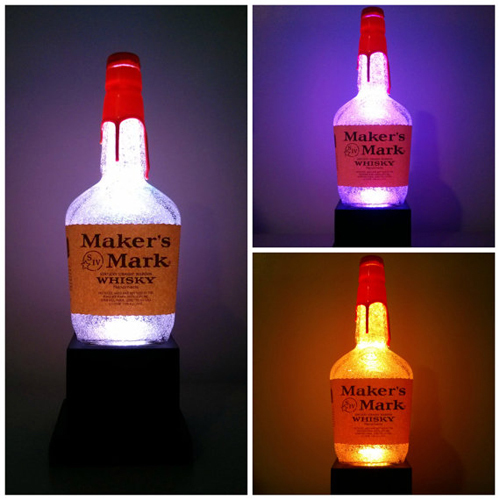 Leave a comment below to let Matt know what you think of his bottle crafts on Etsy. 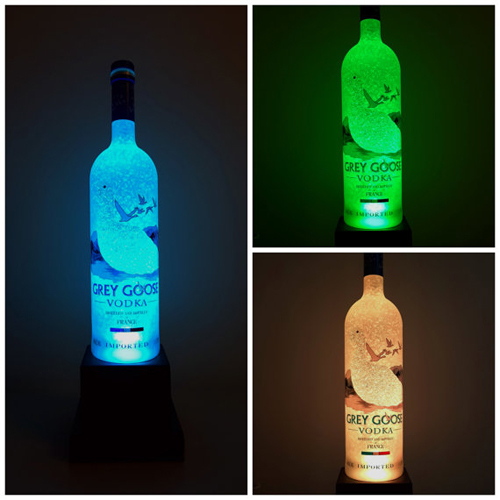 These bottles with lights rock the house! Can somebody custom order a special bottle?